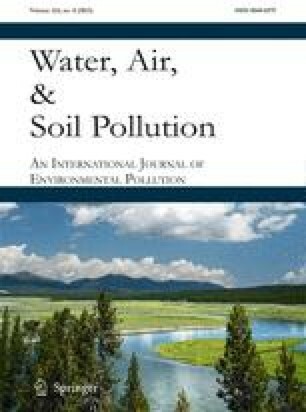 A reduced-from modelling approach is used to predict soil and lake acidification as part of an integrated assessment of acid deposition effects and control strategies. The reduced-form model is based upon the mechanistic, lumped parameter watershed chemistry model, MAGIC (Model of Acidification of Groundwater in Catchments). Recent improvements to MAGIC are described, and its reduced-form representation in the Tracking and Analysis Framework (TAF), an integrated assessment model for decision and uncertainty analysis, is presented. Reduced-form models are developed for lake acid neutralising capacity (ANC), calcium, pH, and aluminium; and for soil base saturation. The model for lake ANC incorporates long-term depletion of the watershed acid neutralisation fraction, as is predicted to occur with MAGIC. In test calibrations for 33 representative watersheds in the Adirondacks, the resulting reduced-form model provides a close approximation to MAGIC, with average root mean square errors of 0.79 μeq l-1 for ANC, 1.09 μeq l-1 for calcium, 0.16 for pH, 2.52 μeq l-1 for aluminium, and 0.09% for soil base saturation. In addition, improved fish viability models are incorporated in the integrated assessment model, and predictions are demonstrated for a future deposition reduction scenario for the Adirondack region.